That doesn’t even seem possible. The days they are a flyin’. I hope you are having a great week and enjoying the summer weather and festivities while you can! My Mom is in town this weekend and we have a full schedule of events planned! I’m looking forward to exploring my own city and spending some quality time with Mi Madre. I hear that 70’s style is making its way back and I am SO EXCITED. I’ve always had some hippie in me and love love me some chunky shoes, bellbottoms and flowy tops. This outfit is 100% what I would love to wear every single day. I am obsessed with it. Her legs go for days and that hat…I just wish I could have been alive in the 70’s. Ever since I was little I have been obsessed with that era. There was something so lighthearted and beautiful about it (minus the crazy drug use…or maybe that’s why everyone seemed to be so happy?). Either way, the fact that I can bust out my favorite jeans (yes, I kept some of my high school flared jeans) and still fit into them…I can’t be mad about it. These cookies, though. They are alpacas. I mean, really? How could you even eat them?? 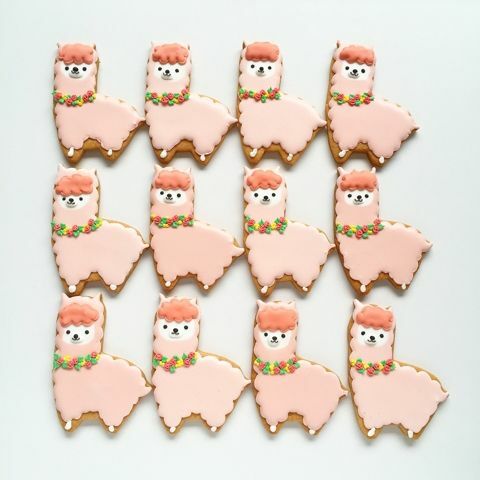 They are from a Japanese blog and I don’t know what any of the details are about them…but I want to go to Japan and I want to find the creator of these immaculate cookies. Mikey and I plan to finish some updates and styling in our house this fall and we want to do a low bookshelf/shelf like the one below. I was having an obsession with this beautiful leather floor mat for a few minutes. I then clicked the link and realized it is a VINTAGE GYM MAT. I threw up a little in my mouth. The things that have discharged onto this mat can not be imagined. No matter how beautiful, how cleaned…It just makes me uncomfortable. Even if you told me it was never used…I just don’t know if I could do it. It does, however, look stunning and I want that room to be in my house…But I just can’t think too long about where it’s been! I think I’m completely over my whole animosity toward bacon thing. I still wouldn’t be able to just eat a piece (maybe I could)…but I love the salty and smoky flavor it adds to most dishes now. 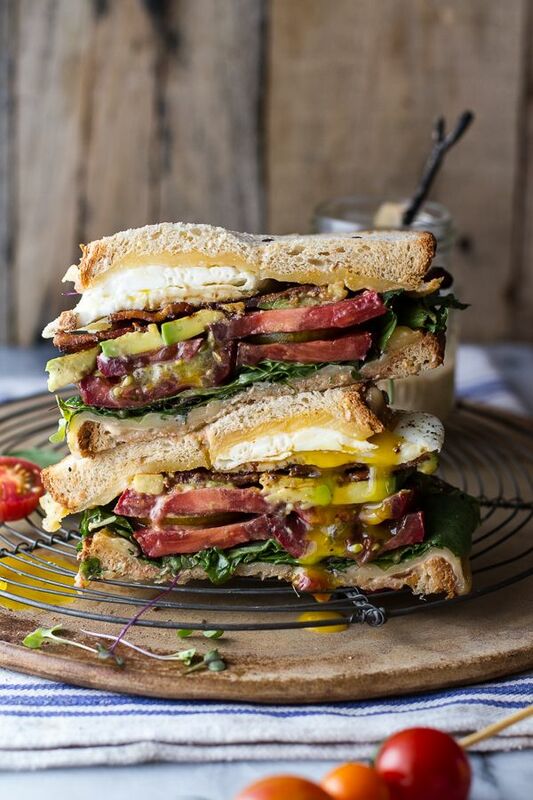 This BLT with heirloom tomatoes, smoked gouda, and fried eggs…hang on a minute while I stuff my face full of all this flavor. Not only is it beautiful to look at but I know for a fact each bite will be a little different and a little better. Runny egg + sandwich = heaven. And last but not least, some pretty cupcakes. 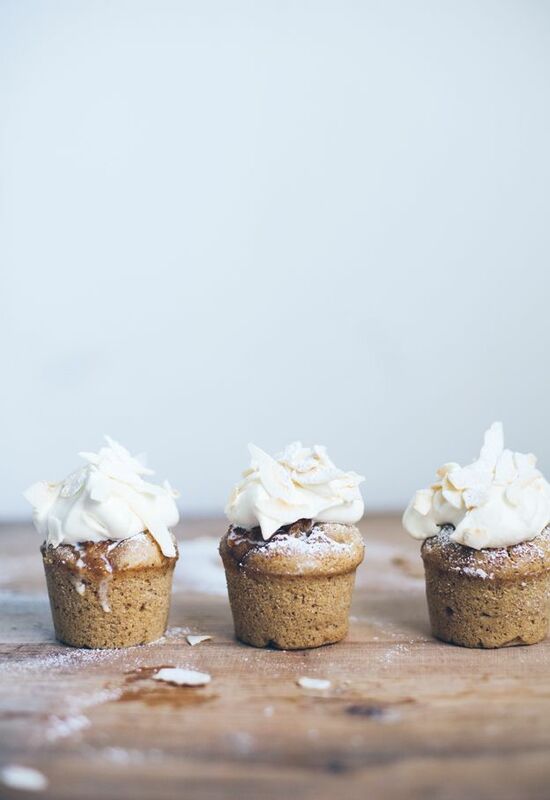 Pear cupcakes none the less. They are from a Swedish blog (apparently I find my inspiration on blogs I can’t actually understand this week) and I couldn’t find a recipe link, but I think the inspiration is enough to get started. I’ve never thought about a pear cupcake but I’m sure it would be delicious with a few spices and a light, fluffy buttercream. So pretty and I imagine just as tasty as they look.